Give your floor a new lease of life with our floor staining service. 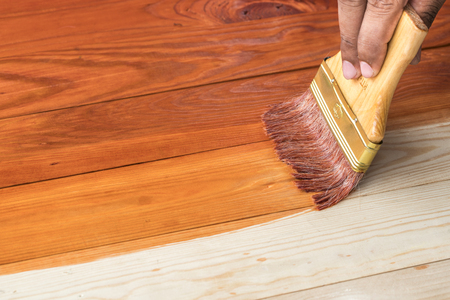 Hardwood floors can wear and degrade for a number of reasons. If you have lived in your home for many years, you may not realize the effect that every day family life can have on your floors, particularly if you have active children or pets. Most hardwood flooring is installed with a urethane base to protect against moisture, dirt and other abrasions. After years of use, this protective layer can eventually wear away. Floor staining is a low cost, effective solution to protect and revitalize your hardwood floors. Where floors have worn over time, floor staining can be enough to produce a “good as new” finish.